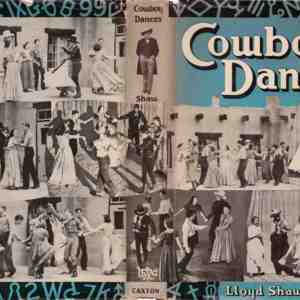 This is the dust cover to Lloyd Shaw's book, Cowboy Dances, first published in 1939. Used copies are common and inexpensive. A clean reprint of the book is also available from the Lloyd Shaw Foundation. Still, in this digital era it's not surprising that it is also available at the Internet Archive so that it can be read online, downloaded as a PDF, or downloaded for electronic readers. Also shown here is a review of the book by Douglas Kennedy for the English Folk Dance and Song Society. Kennedy looks at the English antecedents to some of the material in Shaw's book, and pays special attention to the role of the caller. 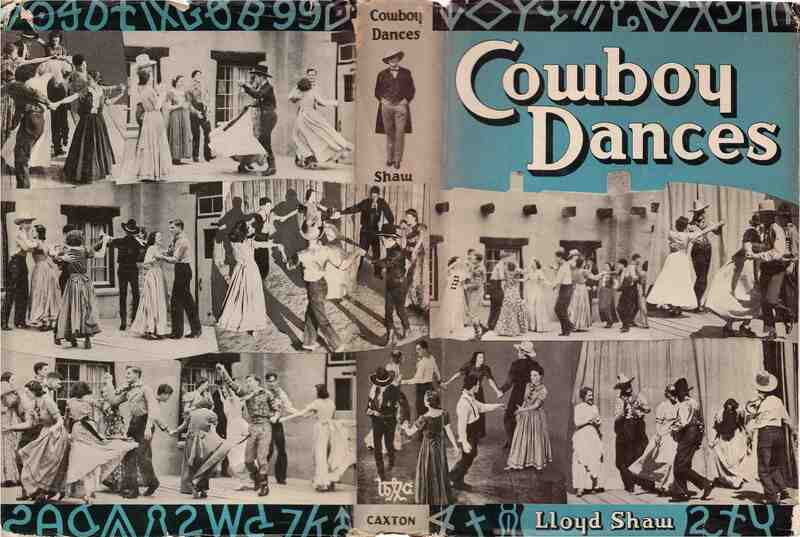 Lloyd Shaw / Douglas Kennedy, “Cowboy Dances,” Square Dance History Project, accessed April 26, 2019, http://squaredancehistory.org/items/show/51.